It’s my passion to make you proud of each and every meal you make, and that starts with ground zero: getting your everyday dinner situation under control. 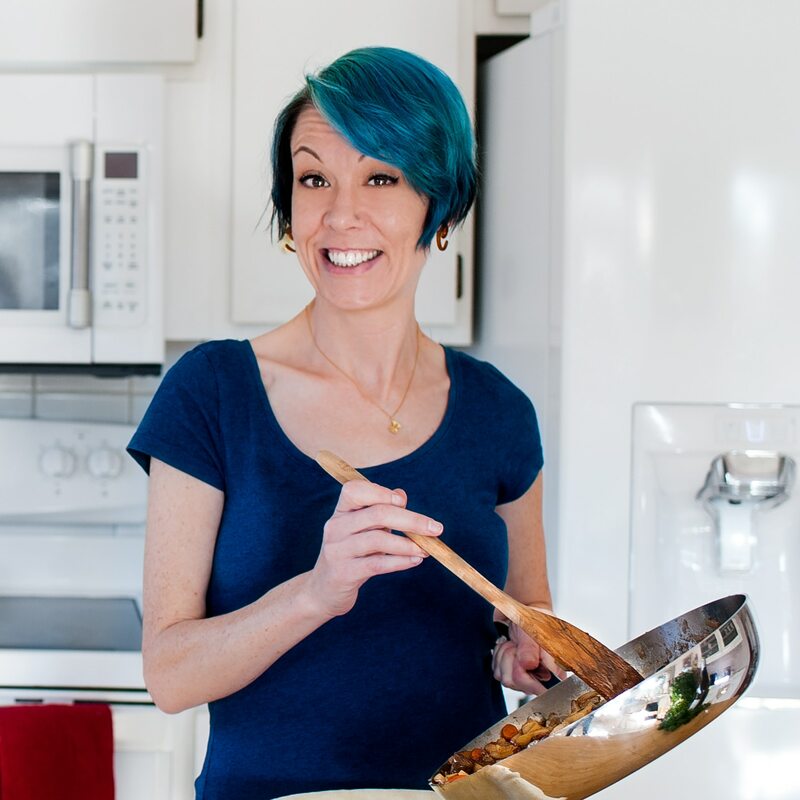 After spending the past decade reclaiming my health by changing the way I cook, and then putting myself through culinary school, I started Fearless Fresh to help you become the badass home chef you’re meant to be. Tl;dr: My goal is to help you streamline shopping and cooking, so that dinnertime isn’t a full contact sport ending in fail. As a personal kitchen coach, there are several ways you can work with me. The easiest way to get my help, and for free, is to join the Fearless Fresh Ninja Community on Facebook. I pop in there frequently to answer questions and share the love. When I can, I open up slots for The Fresh Sessions complimentary coaching calls, where we zero in on your biggest cooking pain point and get you feeling great about your time in the kitchen. Totally free! If you’re looking for personalized cooking help, definitely check out my one-on-one cooking lessons, My Signature Dish. You can check out my Books page, where I have a free ebook you can download, and an actual hold-it-in-your-hands hardcover book about cooking with cheese. You can sign up for my weekly newsletter, where I share tried-and-true tips to getting your kitchen under control, and where I also announce my free coaching sessions. You’ll also get a copy of my free ebook, Sad to Fab: 5 Foods to Get Your Feeling Great. In the meantime, check out some praise and testimonials from folks I’ve worked with. No matter how we work together, I’m always going to give you simple steps for tackling kitchen stress and fear + friendly-fierce guidance to help you reclaim your kitchen as your happy place.